Artist’s rendering of Helia’s 20-acre development scheduled for completion in 2013.
eliae is the 9th startup for CEO Dan Simon, and the company is finally at his favorite stage. “We are completing our charge through the Valley of Death,” he says. Indeed. 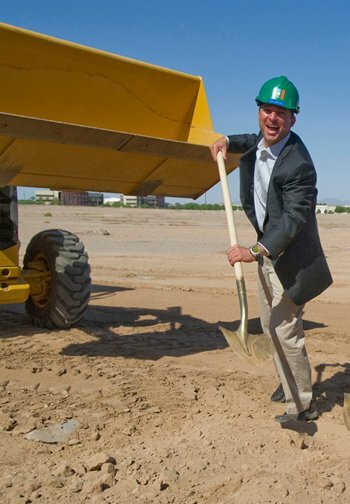 In 2012, Heliae grew their team to over 75 people, sold their first barrel of jet fuel, completed over $30 million in private placements—$18 million of which came from outside investors – and broke ground on their 20-acre production site in Gilbert, Arizona, on the outskirts of Phoenix. Heliae has now signed their first long-term off-take agreement, is in the final stages of signing a couple others worth multi-millions, and has expanded their IP portfolio from five to over 30 issued patents in the last nine months. 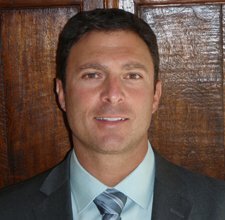 We spoke with Dan Simon, President and CEO of Heliae Technology Holdings, Inc., at the recent ABS about Heliae’s progress and plans for the near future. In May you launched the big expansion. How would you describe what’s been going on since then? Since May the company has really been focused on shaking out our first commercial reactor model, which is now complete. So, we started by building one full-scale commercial reactor, and are now operating it 24/7. On the site itself, we haven’t even come out of the ground yet, as we are working through permitting, site design, engineering, and procurement. The project is designed to grow multiple strains on a concurrent basis, with the capability to deliver a flexible co-product stream, support training and process development, and community outreach. Please describe the commercial unit. It’s about 100 feet long, and about 12 feet wide. It includes a trough and raceway section, is managed through our proprietary control system, and is covered by a greenhouse to support additional development activity. Again, we see this as precision farming with an ag-processing back-end, so it is designed as such. Given that it is our first full size commercial reactor, we were pleased to keep our CapEx cost below $800,000/acre all in, which was our goal. To hit the lower-end commodity markets we believe it will require CapEx of no more than $100,000 per acre all-in, but in the end it will be dependent upon productivity and yield. 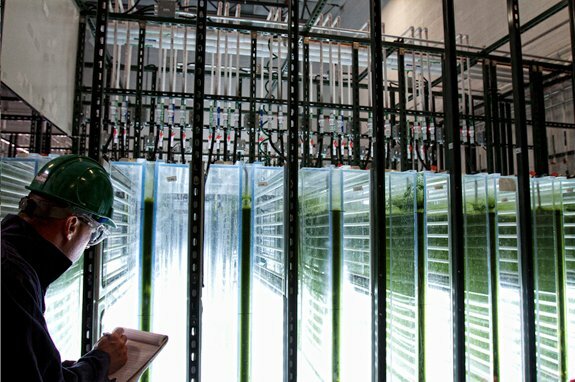 We’re now producing algae on the unit on a continuous basis. We have a couple confidential clients that we are making specific products for – high value neutraceutical and cosmaceutical products – which support our first purchase orders. So your production at this point is all contract-based? Yes. Our installed production will be driven by contracted sales, this way we know we will be cash-flow positive prior to completing construction. When down the line, if ever, do you see originating product of your own brand? Producing product is only phase 1 of our business plan and therefore we have no plans to develop our own brand of algae products at this time. Obviously, we will do what is necessary to deliver a commercially viable package, but we do not believe developing our own brand is required for positive cashflow in this business. We see ourselves as more of an ingredient supplier with our first few plants. This said, we will be working with our partners in Indonesia on a few different product ideas, and you never know where that leads. Can you say more about the Indonesian developments? We picked Indonesia as the next location for strategic reasons. We are comfortable with precision farming in a dry Southwestern climate, it is now time to validate a tropical precision farming platform. We will utilize this facility as a regional R&D hub and regional headquarter for sales, product development, and as a technical service center for our customers. Basically, we are going to build a low budget model of our Gilbert (AZ) site in Indonesia. Initially focused on strain development and validation of systems, we’ll take what we’ve learned in Gilbert and move it out to Indonesia on a very specific basis. We’ll take our best foundational design, install it at pilot scale, then demo scale, then up-size it to a commercial unit. We are currently working on a partnership for our first commercial plant in the region. We believe algae require one to be pragmatic with every climatic or geographic change. There is still a lot to learn and therefore we have no expectation to build a commercial facility until we’ve proven viability at a demonstration scale. We currently target completion of our first full scale Asian plant in 2015. Although, various factors may speed that up. With back-end processing as well? We have plans to install an extraction unit in Indonesia as well. No hydrotreating or fuels in the short term. In Indonesia it’s purely a food, feed, health science, and chemical play. This said, we are talking to potential fuel processing partners, as there will be a neutral lipid fraction from most co-product streams. What have you learned about scaling up in the past year that might not have been as easily understood last year at ABS time? If we’ve learned anything, it’s that there is more benefit to economy of scale than we expected. We underestimated the benefits we’d gain through expansion. Purchases, piping, power, electrical, steel, shipping…everything you need to build a proper facility. I guess I expected that because algae is still such small scale, in real manufacturing terms, that there wouldn’t be any breaks in pricing – that’s what we were assuming in our model. But we are starting to see vendors get aggressive as they see this as a market with huge growth potential. 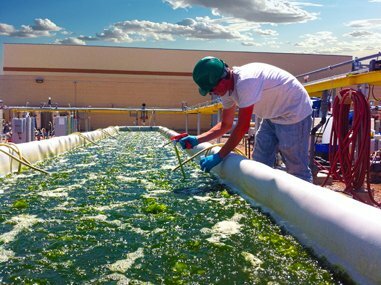 In addition, there is solid opportunity for savings in pumping, powering, and processing your algae. Subtleties in the lab can become larger issues in the field. 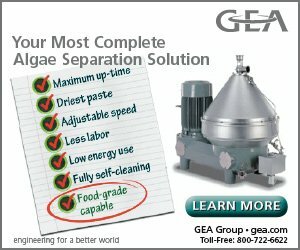 Among the things that you’ve learned in going from lab level to scale, are there any that have changed your approach, for example deciding not to use a particular strain for reasons that only became apparent when you scaled it up? We’ve done everything wrong that we possibly could in the field already! It’s probably an all of the above answer. Well, that’s entrepreneurship for you! Biggest learning over the last twelve months has been contamination management. It is the reality of all farming, learning how to manage it is the difference between life and death, literally. Just on the strains alone, we’ve had to completely adjust the types of strains and the adaptation methods utilized as we bring them outside. Many times strains that grow fantastically in a small unit, are complete duds in a large scale unit. In terms of crop protection, I think you have the risk anywhere. You just need to be able to manage it. What we are doing is precision farming, so we’ve developed specific methods and procedures to protect the crop and maximize production. While we’ve learned methods and procedures that work in Arizona, I’m sure we will need to adapt them for each new location. How do you see training people on operating your systems as you expand into other parts of the world? Is this a closed or open system at this point? I would call it convertible. Like a lot of our competitors we are sort of funneling down the options to a closed system up front and a convertible system on the back end, depending what the end product stream is going to be. If it’s pharmaceutical or neutraceutical, it’s probably going to be a closed system. Closed for food is still up for question. What would you say is Heliae’s prime initiative for the next year? 1) Complete our first commercial facility and deliver on current off-take agreements – and that will probably be 75% of our focus in 2013. 2) Raise $50 million to support development, construction, and business expansion activities through a combination of strategic investment and private equity. 3) By Q4 of 2013 to have plants two and three in pre-construction, design, and engineering. The next two will be where they make the most sense for the company from a profitability standpoint. We are also keeping open about the product focus. Let the market decide. Is that more dependent on who you partner with or on finding the ideal conditions? We are starting to develop a system that has a wider scope of available conditions, so probably more along the lines of what our off-take partners are interested in producing. Our geographies are pretty open and probably driven by supply chain management as much as anything else. How do you see the development in the algae industry over the past year, as demonstrated here at the ABS? From what I’ve seen so far, I believe our industry is finally developing at scale. 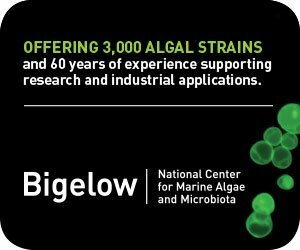 The most interesting thing to me, coming from an energy background – and most recently from traditional biofuels – I expected that algae would be behind cellulosic technologies in terms of proving commercial validity. And what has happened in the last two years is that algae is moving ahead of the cellulosic technologies. Investors are starting to recognize this and question the long-term scalability of cellulosics. My bet is both technology platforms will find their paths, but algae is certainly looking like the bigger gainer in the last 12 months. There are a lot of different directions that this industry is growing in, but it’s still an algae platform and there is this synergy about all of the applications. It’s such a versatile feedstock. It’s amazing. I’ve never worked with anything like this. Because there is such a diverse product stream, the producers aren’t all fighting over one single supply demand curve. 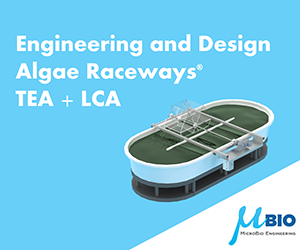 This is a huge advantage for a newer industry, because it offers more opportunity for algae companies to collaborate and work together toward commercialization instead of sitting in a silo trying to figure out the entire process on their own. I really love that aspect of the industry right now, and I’ve got a lot of passion in seeing our collective successes build a powerful global industry. We wouldn’t be investing at the scale we are if we didn’t believe the industry offered huge potential. Sustainability may have brought us to the party, but it isn’t what will drive this business in the long term. Heliae’s differentiator, as I look at all this coming together, is that our long term focus is to integrate technologies and deliver turn-key algae production systems, not to be a producer of algae-based products. We are currently in phase 1 of the business plan – build it and prove it. Long-term we aim to be the go-to source for algae technology worldwide and that’s the space we will lead.